In the first two parts of this series we identified that you do need a social media agency, as well as which type of social media agency you need. Now it is time to hire the right social media agency. It is important not to rush through this phase of the process, because it is a major commitment. Handing over control of your social presence can make or break your business. It is important that you vet potential agencies to ensure, without a doubt, that they will be the right fit. An easy way to do this is to ask the right questions. In this post we will discuss important questions that every business should ask before hiring a social media agency. 1. Do We Need A Social Media Agency? Even if you have reached this point and are 100% sure that you need a social media agency, it is still worth asking this question. In fact, this question can tell you a lot about a potential agency. Pay close attention to why they think you need a social media agency and see if it aligns with the reasons you decided you needed one. If they can’t elaborate on why they are a good fit for your business, they probably aren’t. Some agencies may tell you that your business is not a great fit for them. This is ok too. It saves you from wasting time and allows you to focus on finding the right agency for your business. 2. What Separates You From Your Competitors? We love this question. All business should have to and be able to answer this question. In part 2 of this series we discussed the different types of social media agencies. Hopefully it now clear that not all agencies are created equal. This question will typically reveal what type of agency they are, specifically their focus. There are several different variables that can separate an agency from their competitors, so this question should reveal a lot. 3. Are You Experienced In Our Industry? Managing the social media accounts for a local plumber is much different than managing the social media accounts for a technology company. Though some tactics will work for all industries, many will not. It is important to understand what experience, if any, the social media agency has in your industry. If possible, you want to find an agency that has past experience. This will greatly decrease the learning curve and your agency will already know what has and has not worked in the past. Not having prior experience isn’t a deal breaker by any means, but make sure you consider the potential roadblocks. 4. What Is Your Onboarding Process Like? The onboarding process is the foundation for a successful relationship with your new social media agency. It is important to understand how they plan to make the process as seamless and effortless as possible. This question can typically reveal the maturity of the agency. A well established agency will have a very thought out and tested onboarding process. Keep in mind how much time and money could be wasted if this process is inefficient. The bottom line is that you must feel comfortable with the onboarding process or you will set yourself up for failure from the beginning. 5. How Many Clients Do You Have? The number of clients a social media agency has is crucial to know. Some agencies focus on less clients to increase the quality of the work, while other agencies focus on attracting and managing as many clients’ accounts as possible. Having a lot of clients is not indicative of poor quality, nor is having less clients indicative of high quality. This question should always be accompanied with question number six. 6. How Many Employees Do You Have? Now that you know how many clients the agency has, you will want to learn how many employees they have. This is where you can begin to understand what priority your business will be. One of the main reasons you are probably hiring a social media agency is a lack of time. Hiring a social media agency that also lacks time isn’t going to improve this problem much. Try talking to several social media agencies to identify what the typical employee to client ratio is. 7. Who Will Be Managing Our Account? You now know how many clients the agency has, as well as how many employees they have. It is now time to understand who will be managing your account. This could be one individual or an entire team. Make sure you feel comfortable with who will be managing your account, including their experience, expertise and level of commitment. 8. How Will You Measure Success? Measuring success and failure is crucial when it comes to social media. Since social media isn’t black and white, your agency will need to analyze your results and optimize for success. Make sure you know exactly how they will measure success. If you do not agree with the metrics they plan to track, ask them to explain why they think they are important. Bottom line: you and your agency must be aligned when it comes to your key performance indicators (KPIs) or it will be impossible to know what success looks like. 9. How Often Do You Report Progress? Anytime your business outsources something, communication becomes harder. A good agency will make communication a major priority. Afterall, without communication it is hard for either side to feel comfortable. Prior to asking this question you should think about how often you would want progress to be reported. For example, you may want weekly updates and a once a month in-depth meeting. Other businesses may want to talk nearly everyday. Each agency has a different reporting process, so try to find one that fits your needs. Be sure to express your needs if their typical reporting process doesn’t align with what your business would like. Many agencies will have no problem accommodating your needs. 10. 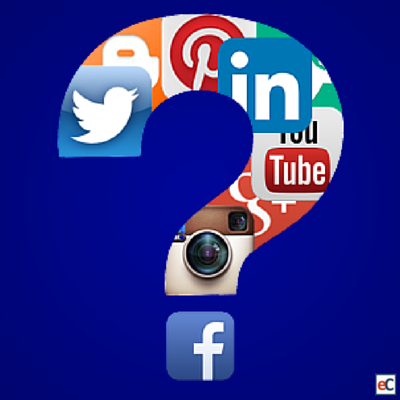 Which Social Networks Should We Focus On? Earlier we discussed how important it is to find an agency with experience in your industry. This question can tell you a lot about their experience level. For example, B2B companies typically see great returns from their efforts on LinkedIn. This is due in large part to the professional nature of the network.If an agency told a B2B company that they would not be focusing on LinkedIn, this could be a major red flag. Conversely, their answer could reassure you that they do know what they are talking about. Do a little bit of research if you are unaware of the ideal networks for specific industries, so you can judge their response. 11. Can You Show Us Examples Of Past Success? Successful agencies will be excited to show you and talk about their past successes. If an agency is hesitant when you ask this question, be wary. This doesn’t mean they aren’t capable of succeeding with your brand, but past successes can foreshadow what to expect moving forward. Make sure to ask this question. It can save you a lot of time, money and stress in the long run. 12. What Tools Do You Use? Tools are every marketer’s secret weapon. Without tools it would be impossible to scale their efforts and manage multiple social networks at once. It is important to ask an agency what tools they use, as it will give you a glimpse into how they will manage your presence. Keep in mind that a tool like eClincher will give an agency access to all of these tools in one place. 13. Do You Offer Other Services? Many agencies offer other services outside of social media marketing. These services may include search engine optimization, public relations, website design and much more. Be hesitant when you start hearing a long list of services offered. Unless you are dealing with a large, well respected agency, chances are they are not experts in all of these services. You want to find an agency that has expertise and a focus on social media marketing. If you need help with these other services, consider finding experts that focus solely on each thing you need. 14. What Emerging Network Should We Consider Using? New social networks seem to pop up everyday. Early adopters are typically rewarded with high organic reach, low cost per click and much more. A good social media agency will stay up to date with these new networks and will know which clients could benefit from presence on them. As social media marketing continues to grow and require higher level skillsets, more and more businesses will rely on social media agencies to find success. Picking the right social media agency is an important decision, and one that should not be taken lightly. If you lack experience with social media marketing, be sure to take your time and understand your needs before rushing out to hire an agency. With the help of this series you should be able to identify your needs, choose the right type of social media agency and vet them by asking the right questions. Now it is time to get out there and find the right fit for your business. Your online presence will be the first thing most potential customers interact with, make sure you find the right people to manage it. Did you enjoy this series? Get more content like this delivered directly to your inbox by subscribing to our blog below! Thanks so much! Was there anything specific that stood out to you?